Reading Time: 3 minutes Like the vExpert 2016 announce, also this at the beginning of February the vExpert 2017 list has been announced. Also this time I’ve been confirmed as a vExpert. 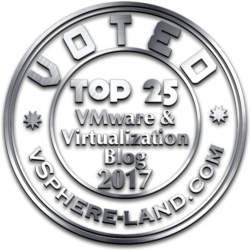 The list is available on this VMware blog site: vExpert 2017 Award Announcement. Reading Time: 1 minute On the second half of 2016, VMware has started new vExpert (sub)programs on different technologies. One was the vExpert VSAN. And finally the list of 2016 vExperts who received the VSAN award has been published. The program is build upon the vExpert program. To apply you must be a current vExpert as well as evangelizing VMware Virtual SAN. There will be an application once per year for each of the sub-programs. Applications for 2017 will open around February of 2017. Reading Time: 1 minute On the second half of 2016, VMware has started new vExpert (sub)programs on different technologies. One was the vExpert NSX. And finally the list of 2016 vExperts who received the NSX award has been published. The program is build upon the vExpert program. To apply you must be a current vExpert as well as evangelizing VMware NSX. There will be an application once per year for each of the sub-programs. Applications for 2017 will open around February of 2017. 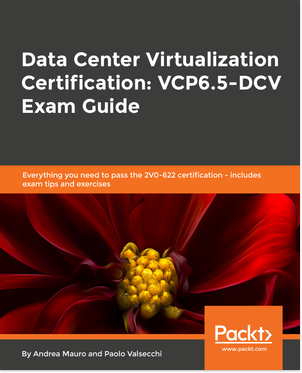 Reading Time: 2 minutes With the high (and growing) number of VMware certifications, could be difficult track your certification expiration (actually only for the VCP certs), your transcript, or simple plan the right path in order to reach a desidered certification. But finally a new tool has been added to manage all your VMware certifications: the VMware Certification Manager. Reading Time: 2 minutes The Network Certified Implementation Expert (VCIX-NV) certification was something different compare to other “advanced” level certifications in other VMware paths: only a lab based exam (the deploy, configuration and manage part) and you have done! Other VCIX paths require both the admin (now simple called deploy, but it’s not only deploy related) and the design exam, and recently both intermediate exam has been called again VCAP exam (see this post). 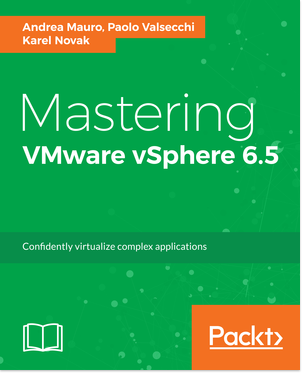 Reading Time: 3 minutes Compared to vExpert 2015 announce, this year VMware is really sharp and today they have announced the vExpert 2016 list for the first half of the year. Also this time I’ve been confirmed as a vExpert. The list is available on this VMware blog site: vExpert 2016 Award Announcement. Note that also this year, like the 2015, the vExpert program as slightly change again with one application every six months… So new people will be announced in the second half of this year. Reading Time: 3 minutes Yesterday Nutanix has announced the new list of Nutanix Tech Champions (NTC) 2016. NTC is a community awards similar to the VMware vExpert, Microsoft MVP, Cisco Champions, EMC Elect, … rewarding members of the community on their efforts in sharing their knowledge and enabling fellow community members. The Nutanix Technology Champion program spans the globe and is comprised of IT professionals from every cloud, application group, and technology. They are committed to news ways of thinking that will power the next generation of enterprise computing.